Obertrum is a great place to celebrate special occasions. Especially in our Trumer Beer Cellar, a renovated historical brewing vault. 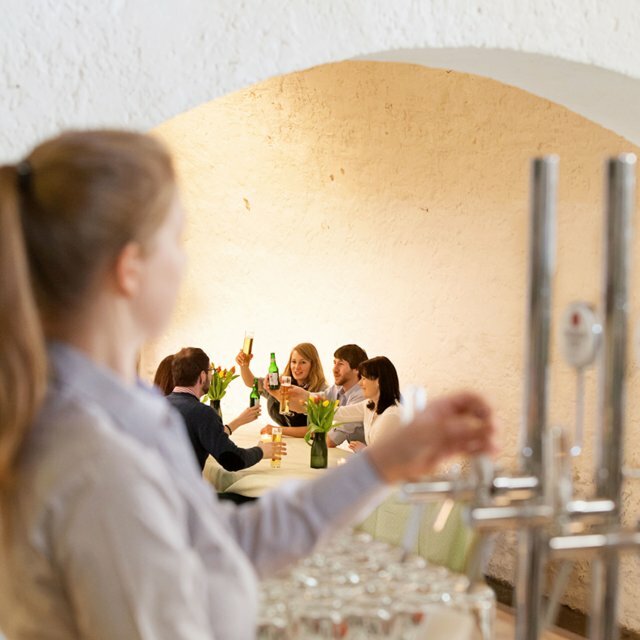 Originally built as an ice cellar in 1814, this historic vault with its unplastered stonework masonry was lovingly renovated and converted into an atmospheric event space. It’s the perfect location for events or private parties with 50 to 120 guests. The Beer Cellar is set up to accommodate your self-directed catering and design ideas. Catering from the Sigl brewer tavern is available upon request. You can choose to either do the cleaning-up yourself, or leave it to the Trumer Privatbrauerei (for a fee).